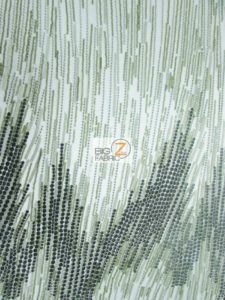 Our glamorous Frozen Premiere Zig Zag Sequins Fabric is certain to grab everyone’s attention. It is perfect for unique party decorations, dresses, costumes and more. 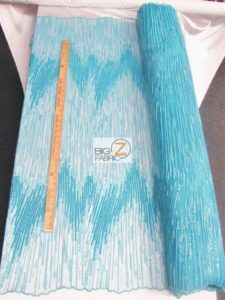 This Frozen Premiere Zig Zag Sequins Fabric has a width of 50 inches and is sold by the yard. If you want wholesale prices call us at 213-745-BIGZ (2449) Don’t forget to ask us about our monthly discount coupons.